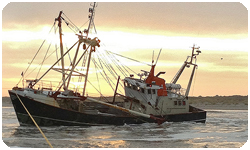 Since 1988, Veltman Marine Services has been operating from our home base on the island of Ameland in the waters surrounding the Wadden Islands. Our dedicated team of staff are well experienced and we have actively built a reputation as the best service provider in the region. To sustain this reputation, we continually invest in our people and in our fleet and our knowledge of the regions waters – the fairways, the shallowness’s and the sandbanks – is second to none. 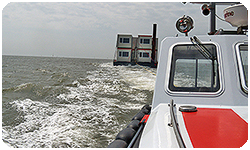 No place is out-of-reach for us, also the tidal inlets towards the Wadden Sea, and North Sea coastal area are easily accessible to our boats. Veltman Marine Services operates in accordance with the ISO 9001:2015 standard and our quality management system has been approved by the Lloyd’s Register of Quality Assurance. In addition, and although it is not required by law, we have also applied the ISM (International Safety Management) code to our QHSE system. Safety is paramount to us including crew, passengers, goods and fleet. We also consider the environment of utmost importance and are supporters of the Wadden Sea area as a Unesco World Heritage site.